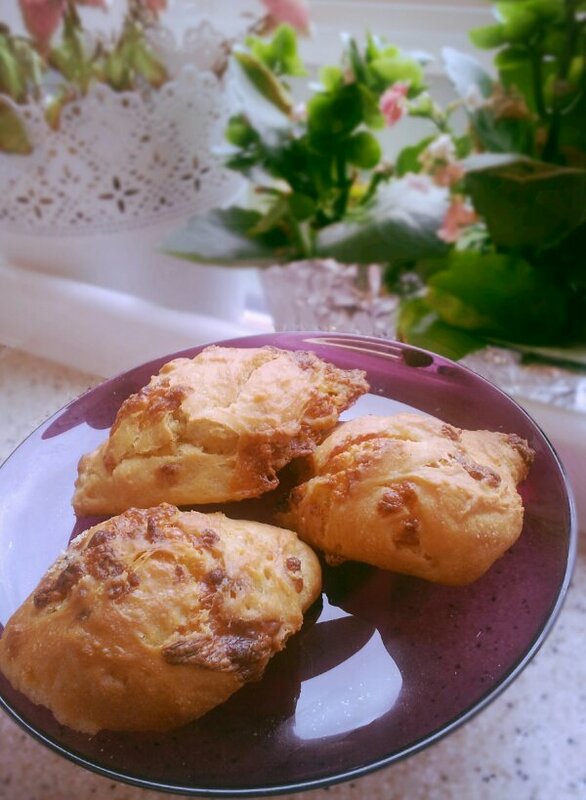 I love cheese pies and I find they are a very easy and yummy alternative to breakfasts or lunch time treats especially when there is no time for cooking. I usually bake or cook a bunch and keep them in the feezer. Then whenever I want one or two I just put them in the microwave and have them ready and warm in under 2 minutes. There are different recipes in the Greek cuisine and this time after a long period of eating light boiled or grilled foods I decided to go for a classic recipe from Crete that is yummy and easy to make. Not sure if what makes them yummier is the fact that i personally love cheese and this is their main ingredient or the fact thay they are deep fried. Usually to make them we need feta cheese. As I didn’t have any I decided to use the basic recipe and substitute the feta with cheddar cheese. I then realised that one can add any ingredient wants, from olives, tomatoes, spices to him and bacon. I will give you the basic recipe but I would definitely recommend you experiment by adding ingredients of your choice. As I mentioned the specific ones you fry them. As I was staring to fry them the phone rang and I had a small accident burning my left hand. Not wanting to risk more accidents I decided to bake the rest in the oven. I have to admit they came out fluffier, healthier and tasted as good. So maybe next time I will stick to the oven option. We warm up the milk at a temperature where we can still comfortably dip our finger in the milk and it doesn’t burn us. We dillute the yeast with the sugar in the water and we let it aside to become a bit bubbly. In a large bowl we mix the liquid ingredients and then we add the salt and yeast mixture. We slowly start to add the flour mixing with either our fingers or a spoon. The aim is to get a dough that is relatively runny but separates itself from the sides of the bowl. Wewest let the mixture in a warm environment to rise and double in size. At the end we add the cheese and any other ingredients and spices we want. We either fry spoon sized dough or we spoon the mixture on baking paper and we bake in the oven at 170 ° for around 30 minutes or until the pies get all golden.